For an old Moscow hand, Putin’s brazen seizing of Crimea from Ukraine was less surprising than the fact that Ukraine—with its long historic, economic and ethnic ties to Russia—had become a separate country to begin with. On an icy November night in 1984, I boarded the Trans-Siberian Railway at Moscow's Yaroslavl station for a 5,300-mile journey across seven time zones to the far eastern city of Khabarovsk. The purpose of the trip was twofold — to experience firsthand the vastness of the Soviet Union and to spend hour after hour in close quarters with ordinary Soviet citizens. By that time I had been living in the Soviet Union as the Inquirer's Moscow correspondent for nearly two years, and, like many of my peers, was frustrated by the impossibility of having honest conversations with ordinary people — the great majority of the public who were neither dissidents nor official propagandists and whose acquiescence was essential to the survival of the Soviet state. When I would periodically venture onto the street to get public reaction to an important event in U.S.-Soviet relations, I was amused and amazed at how people — instantly recognizing the situation they'd been put in — would almost word-for-word spout whatever party line had appeared in that morning's newspapers or on the TV news the night before. While it would be impossible to fully get beyond that guarded response to a foreign correspondent's inquiries, I figured my best chance for candid conversation would be to take the longest possible train journey, allowing me to spend full days and nights with a variety of fellow travelers. The idea worked. Over the seven days of rail travel (extended further by two overnight stops), I shared food and ample drink, played chess and cards, delved into personal problems and family histories, and had many hours of sometimes-heated political conversation with a good cross section of the Soviet public — or, more precisely, of the dominant Russian majority. The revolving cast of characters included workers, scientists, teachers, a low-level bureaucrat, two high-level bureaucrats, and a factory supervisor. Virtually without exception they proved to be passionate and relentless defenders of the Soviet state — not just its Cold War foreign policy, but its then-tattered domestic achievements. They conceded that America was a great, if misguided, country. They wanted me to understand and acknowledge the Soviet Union's greatness as well. While it was not surprising that people would take an orthodox line in a conversation with a Western journalist, I wrote, "the intensity of their arguments went beyond the call of duty." Undated photo of Vladimir Lenin, founder of the Soviet state. Had it survived, the Soviet Union would be turning 100 on Nov. 7. That train ride — and related experiences over my 3½ years in the Soviet Union in the mid-1980s — hardly prepared me for its largely peaceful dissolution in 1991. Less surprising, however, is the reemergence of strident Russian nationalism and intolerance of dissent under Vladimir Putin. Were I to have a reunion with my traveling companions from 1984, I have little doubt as to where they would stand. To be an American reporter in Moscow in the final years of an unapologetic Soviet state — the period just before Mikhail Gorbachev's ill-fated efforts to publicize Soviet failings in order to correct them — was to be among the last generation of correspondents to experience firsthand the system we had hated and feared for all those years. While our job was to objectively convey the reality of the Soviet Union to American audiences, it was hard not to make value judgments in the process. The cruelest years of Soviet power — the bloody purges and state-created famines of the Stalinist era — had long passed. But the suppression of all manner of dissent, though more finely tuned, was relentless. The KGB's tools of choice were imprisonment and exile, rather than murder on a grand scale. Those allowed to remain at large were too weak and isolated to pose a threat. Equally relentless was the official propaganda that emanated from newspapers and TV stations that were universally state-controlled. The Soviet Union was never at fault in its foreign adventures, and its dysfunctional economy was simply in need of harder work and greater discipline. When a South Korean passenger airliner with 269 souls aboard strayed into Soviet airspace and was presumably misidentified and shot down by a Soviet fighter jet, the official line was not that a horrible tragedy had taken place. After initially denying any knowledge of the matter, the authorities declared that the huge Boeing 747 was on a spying mission to probe Soviet military preparedness and that all blame lay with the American spymasters — the ultimate example of declaring everything bad in the world our fault. I used to joke that the Moscow press corps was a tiny right-wing enclave within the generally left-leaning American news media. President Ronald Reagan's reflexive anticommunism and uncompromising responses to Soviet bluster, while controversial in the United States, sounded right to a lot of us — and to the dissident Soviet intellectuals we associated with. And yet it was impossible to live and work in the Soviet Union without understanding the Russians' side of the story. While the privileged official class known as the nomenklatura enjoyed better housing and access to special stores and medical clinics, there was no great wealth or conspicuous consumption in the country. Nor was there much visible poverty. The state imposed a harsh ceiling on economic advancement, but it also provided a sturdy floor through subsidized housing and universal employment. The janitor in the complex that housed the Inquirer's office was a sweet man and a staggering drunk who wouldn't have lasted a week on an American job site. But he had a guaranteed job and a well-heated, one-room basement apartment that allowed him to get by. It was an inefficient arrangement for sure, but also a humane one. From a Western perspective, one of the enduring black marks against the Soviet Union was its occupation of Eastern Europe at the end of World War II, its installation of communist regimes in those states, and its suppression of periodic rebellions. The Soviet perspective was that, in the long, brutal, and ultimately triumphant military campaign from Stalingrad to Berlin — far more German soldiers were killed on the Eastern than the Western front — the U.S.S.R. had paid for that land with its blood and was thus entitled to a buffer zone against future invasions from the West. That the Soviet Union allowed Eastern Europe to peacefully go free in 1989 was a wondrous development. The resulting incorporation of those countries into NATO — opposed by the aged George Kennan, the architect of America's successful containment of the Soviet Union, as a "tragic mistake" — seemed to confirm Russians' darkest fears. The territorial dismantling did not stop, of course, with the loss of Eastern Europe. In the aftermath of the collapse of the Soviet state, all 14 of the U.S.S.R.'s non-Russian republics — most of which had been part of greater Russia since well before the founding of the Soviet state — were granted independence. For an old Moscow hand, Putin's brazen seizing of Crimea from Ukraine was less surprising than the fact that Ukraine — with its historic, economic, and ethnic ties to a long-dominant Russia — had become a separate country to begin with. Americans, of all people, can appreciate a national identity that centers on the idea of greatness. The Soviet Union, for all that was very wrong about it, was nevertheless a great country. 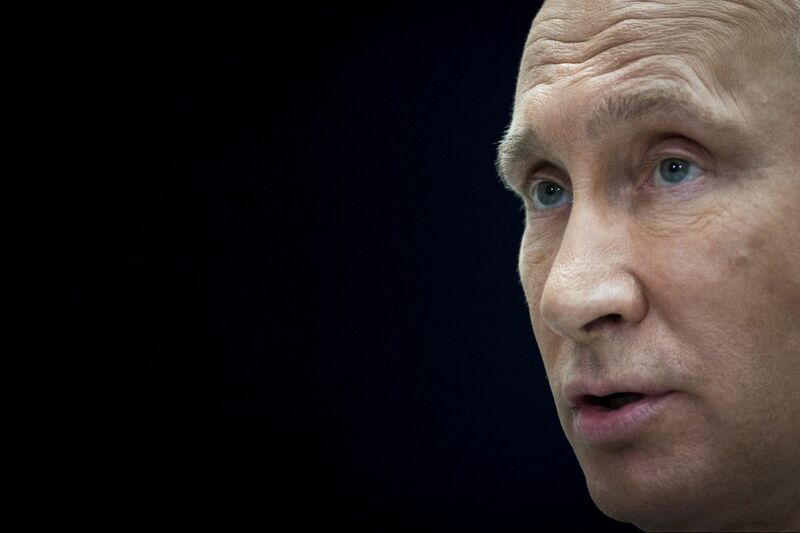 Putin has called its dissolution the "greatest geopolitical catastrophe" of the 20th century. The sad but unsurprising reality is that so many of his countrymen agree.